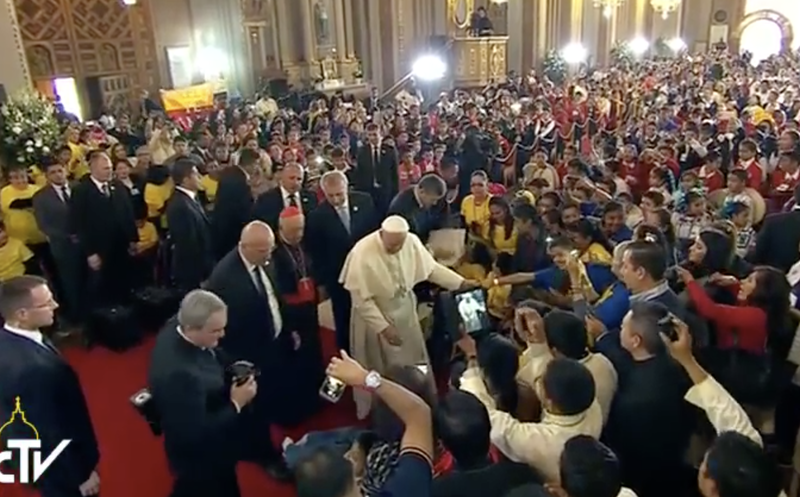 The Pope met briefly with children of Mexico representing schools, and various dioceses and archdioceses, as he visited the cathedral of Morelia this afternoon. “I am going to pray to Jesus that he makes you grow with a lot of love, as he had,” the Holy Father said, indicating an image of a child-martyr from the Cristero War, Jose Sanchez del Rio. He invited them to continue to be creative, assuring that art and sports widen the heart. “Continue to seek beautiful things, things that last forever,” he told them.